There are no more open trenches! The last work on the LBA trenches has now been completed and the cable graves have been completely backfilled and dressed in. This has been a huge effort and a dangerous one too. 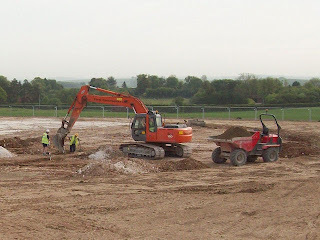 In particular, the maze-like LBA has been difficult to negotiate with the heavy machinery. Still, the crews have managed to get the job completed and work has been a success. Thanks goes to everyone who has participated in this major phase of the project. 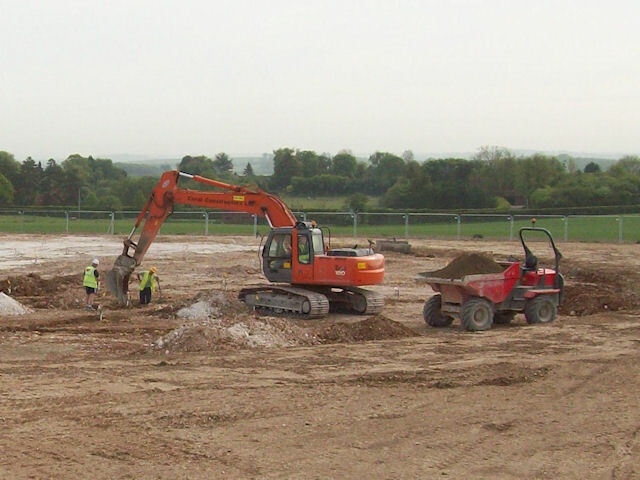 The sub-contractors from Coral Constructors Ltd start backfilling the last stretch of LBA trenches. The LBA field completely filled in (with the rest of LOFAR Chilbolton in the background).